Hidden Gem returns to Bogota: calling all surgeons! Calling all Bogotá surgeons – if you missed the first chance to be interviewed for the first edition of Bogotá! a hidden gem guide to surgical tourism – don’t worry.. I’ll be back in the city this September (2012). While my primary purpose for my return to Bogotá is research-related (I am working on a doctoral degree), I always have time to talk to surgeons about the new and innovative things they are doing in their practices. Contact me through the site if you are interested.. 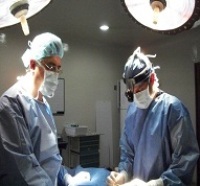 This entry was posted in Surgical tourism and tagged Bogota, Guide to surgery, interviews, Medical Tourism, Surgeons, Surgery. Bookmark the permalink.